No matter if you are an experienced developer or if you are starting your first app, there is a task that we all face someday in our life as developers: user’s authentication. First of all, why JWT? Well, because it is a compact and self-contained way for securely transmitting information between parties as a JSON object. Compact is good (we all know that), but self-contained? 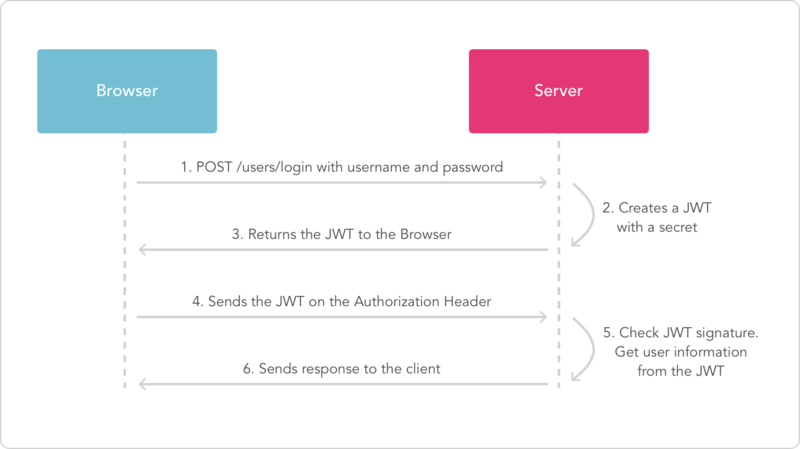 The JWT payload contains all the required information about the user, avoiding the need to query the database more than once. This makes JWT lightweight, scalable and easy to use. Once a user was successfully logged in to your application using a username and password, he/she obtains a JWT which should be sent in every further request to the backend as an Authorization Header, and this token will tell the backend who the user making the request is. The following image (extracted from here) illustrates this process. Configure django-rest-framework permissions to accept JSON Web tokens by default. (You could avoid this step and configure each endpoint independently). Finally, let’s create and setup the Viewsets mentioned (PublicDataViewSet and ProtectedDataViewSet). Note that the ProtectedDataViewSet has a permission class (IsAuthenticated, ) so only authenticated users could reach this data. And that’s it for the backend side. The magic is inside django-rest-framework. Now, we’ll setup the AngularJS frontend application. Inject the dependencies in the angular app module. Add an interceptor to include the JWT in every http request. // Add a simple interceptor that will fetch all requests and add the jwt token to its authorization header. Finally, in your login method take care of save the token in the browser local storage. This way, the interceptor will be able to access it before each request, even after refresh the page or close the browser. We hope this information is useful to you!